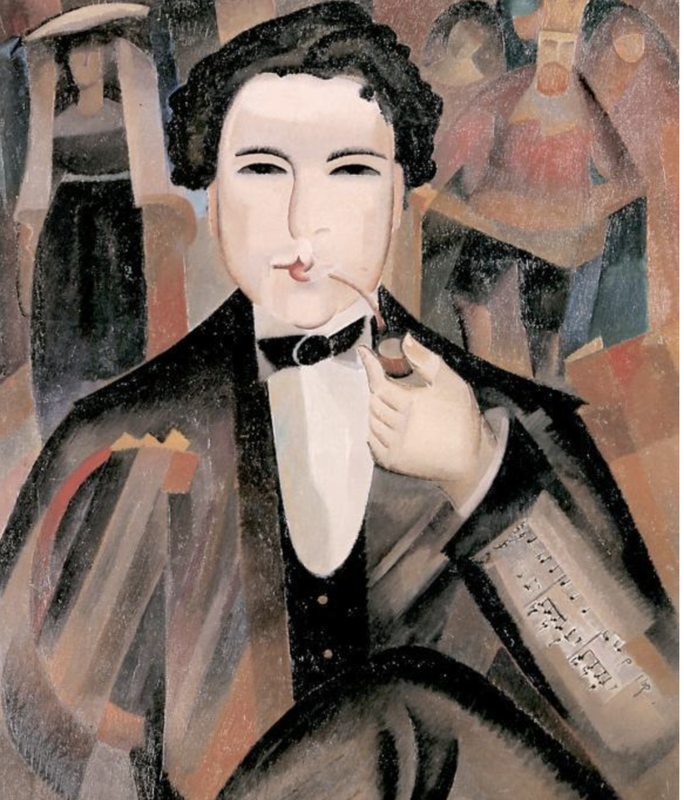 When playwright René Morax commissioned King David with a 2-month deadline in 1921, the young Arthur Honegger composed feverishly to complete the music for the opening night. Acclaimed at the premiere, Honegger later re-worked King David into a large-scale oratorio composition. But it is his original orchestration which is particularly true to the theatrical heritage of the piece. The instrumental forces resemble what one might have heard in a Parisian theatre of the 1920’s. Oscar-winner F. Murray Abraham narrates the tale of King David, with Angelina Impellizzeri as the Witch of Endor. This will be VoA’s first performance of this unique, dramatic work. Honegger and Francis Poulenc were members of the rebellious group of French composers known as "Les Six" who eagerly explored alternative, playful, rhythmic, genre-bending music. From the moment of its premiere in 1961, Poulenc’s Gloria has been popular for its grand scope and intensely human focus. It possesses both an amazingly contagious joie de vivre as well as passages of exceptional lyric beauty. We will be performing Dennis Keene’s organ transcription to celebrate the brilliant timbres of the magnificent 2011 French pipe organ. This concert will feature soprano Vanessa Vasquez, Winner of the Metropolitan Opera’s National Council Auditions, tenor Ian Koziara and contralto Heather Petrie. Mr. Abraham has appeared in more than 80 films including Amadeus, for which he received the Academy Award® for 'Best Actor,' as well as Golden Globe® and L.A. Film Critics Awards. His other films include Lina Wertmüller's House Of Geraniums (with Sophia Loren); The Bridge Of San Luis Rey (with Robert De Niro); Where Love Begins (with Virna Lisi); The Name Of The Rose and Gus Van Sant's Finding Forrester, both with Sean Connery; Brian De Palma's Scarface and The Bonfire Of The Vanities; The Ritz; Star Trek: Insurrection; The Grand Budapest Hotel (Wes Anderson) and Inside Llewyn Davis (Joel and Ethan Coen). Mr. Abraham's television appearances have included Zanuck Productions' Dead Lawyers, Noah's Ark, Dead Man's Walk, Largo Desolato, A Season Of Giants, Excellent Cadavers, Quiet Flows The Don, The Betrothed, Journey To The Center Of The Earth, Marco Polo, The Good Wife, Louie (Louis C.K. ), and the hit series Homeland. A veteran of the theater stage, F. Murray Abraham has appeared in more than 90 plays, among them Chekhov's Uncle Vanya (for which he received an Obie Award), Trumbo, Standup Shakespeare, the Italian tour of Notturno Pirandelliano (with Michele Placido), Susan Stroman's A Christmas Carol, the musical Triumph Of Love (alongside Betty Buckley), A Month In The Country, the title role in Cyrano de Bergerac, The Seagull, Oedipus Rex, Creon, Angels In America (both Millennium Approaches and Perestroika), The Ride Down Mt. Morgan, Waiting For Godot, The Caretaker, The Ritz, Sexual Perversity In Chicago, Duck Variations, A Life In The Theatre, Paper Doll and The Threepenny Opera. Most recently, he appeared in Terrence McNally's It's Only A Play, for which he was nominated for a Drama Desk Award. He made his LA debut in Ray Bradbury's The Wonderful Ice Cream Suit and his NY debut as a Macy's Santa Claus, soon thereafter to Broadway in The Man In The Glass Booth, directed by Harold Pinter. In 2005, Mr. Abraham penned A Midsummer Night's Dream: Actors On Shakespeare, a commentary chronicling his experience playing the character of "Bottom" in A Midsummer Night's Dream on stage. In January of 2013, Mr. Abraham was honored with The Moscow Art Theatre Award, also received by the distinguished director Peter Brook. Mr. Abraham lives in New York and is a proud grandfather. Colombian-American soprano, Vanessa Vasquez is a winner of the 2017 Metropolitan Opera National Council Auditions and a recipient of the Richard Tucker Foundation's Sara Tucker Study Grant. Currently in her final year as a resident artist at the Academy of Vocal Arts in Philadelphia, Ms. Vasquez has performed Gilda in Rigoletto, Giorgetta in Il tabarro, Donna Anna in Don Giovanni, Mimì in La bohème, and Violetta in Verdi's La Traviata. Last season, she made her Philadelphia Orchestra debut under the baton of Maestro Yannick Nézet-Séguin and her role debut as Liù in Turandot with Des Moines Metro Opera. Ms. Vasquez earned a B.A. in Vocal Performance from The Catholic University of America and M.M. in Opera Performance from the University of California, Los Angeles (UCLA). She has been awarded Top prize in many competitions including The Gerda Lissner Foundation, The Guilio Gari Foundation, The Licia Albanese-Puccini Foundation, and the Loren L. Zachary National Vocal Competition. Future engagements include debuts with the Dallas Opera, Opera Philadelphia, Lyric Opera of Kansas City, Arizona Opera, and Santa Fe Opera. Ian Koziara, tenor, is a second-year member of the Metropolitan Opera’s Lindemann Young Artist Development Program. He was also a 2016 finalist for the Houston Grand Opera’s 28th Annual Eleanor McCollum Concert of Arias. Recent roles performed the title character in La Clemenza di Tito at the Aspen Festival, with Jane Glover conducting, Ezekiel Cheever in The Glimmerglass Festival’s production of The Crucible, covering Judge Danforth in the same production, Yamadori in Wolf Trap Opera’s production of Madame Butterfly, Francis Flute in Rice Opera Theatre’s production of Britten’s A Midsummer Night’s Dream, Marquis in Wolf Trap Opera’s production of The Ghosts of Versailles, and The Witch in Rice Opera Theatre’s production of Hänsel und Gretel. Upcoming credits will include Enrique in Thomas Ades’ “The Exterminating Angel” and Fourth Sentry in Wagner’s “Parsifal”, both at the Metropolitan Opera. Ian has participated in several well-known Young Artist Programs, including Carnegie Hall’s “The Song Continues” Masterclass Series (2016), The Glimmerglass Festival (2016), Wolf Trap Opera’s Studio Artist Program (2015), The Ravinia Steans Institute (2014), Des Moines Metro Opera’s Apprentice Artist Program (2014), Houston Grand Opera’s Young Artists Vocal Academy (2013), and The Naked Voice Institute at Northwestern University (2013). An Upper Midwest Region finalist of the Metropolitan Opera National Council Auditions of 2014, Ian completed his undergraduate study at Lawrence University in Appleton, Wisconsin, and completed his Master of Music at Rice University in Houston, TX. Ian appears courtesy of the Metropolitan Opera. 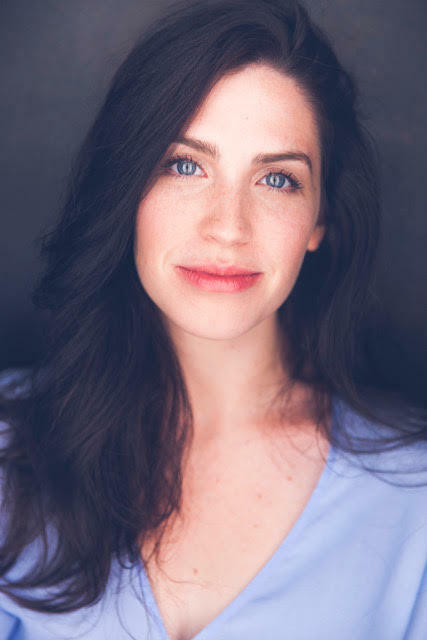 Angelina Impellizzeri is a St. Louis born, New York-based actor. Angelina kicked off 2017 at The Actors Theatre of Louisville performing in the 41st Annual Humana Festival of New American Plays. Most recently, Angelina appeared in a concert reading of “Airness” by Chelsea Marcantel at Joe’s Pub, and was also featured on CBS’s “Elementary.” Angelina has performed at The Metropolitan Museum of Art with the Juilliard415 orchestra alongside world-renowned conductor Jordi Savall. She is a graduate of Bard College, and a recent graduate of The Juilliard School where she was the recipient of The John Houseman Prize. Heather is a founding member of the critically acclaimed, eight-voice treble group Etherea Vocal Ensemble, and is prominently featured on both of their recordings, released by Delos. Their first CD, Ceremony of Carols, reached #4 on the Billboard Traditional Classical charts and quickly became an iTunes Best-Seller. Hymn to the Dawn, their sophomore release, contains world premiere recordings of Amy Beach, Rheinberger, and Rossini pieces, amongst other classics. In Mendelssohn’s Drei Motetten, Heather “makes a quick but memorable solo contribution with her creamy contralto” (Opera News). Delos honored the group by highlighting them on their “40 Tracks for 40 Years” anniversary release, choosing Charles Gounod’s Noël, on which Heather is a soloist. Etherea made their Carnegie Hall debut on June 22 with harpist Grace Cloutier. She holds a Bachelor of Arts in Voice from Bard College and a Master of Music in Opera Performance from SUNY Purchase Conservatory, and is a proud member of AGMA.